Spring always brings joy to farmers and environmentalists. After a long winter, people enjoy the great outdoors while the flowers bloom and nature begins to unfold. Leaves and flowers bud into a lush green and grass starts to grow again as temperature starts to rise to a pleasant degree. Altogether, spring can be a wonderful time! With rising temperatures and freshly growing pastures, there are a few things we need to keep in mind before we let our livestock graze freely on the grass. In this article, we will discuss five important tips for caring for your livestock during the spring season to ensure that you are maintaining a healthy herd without worries. You can find tips and advice on pasture management in our blogs that are published periodically for every season! Pastures not only provide food for your livestock, but a place where your livestock can graze throughout the day. Since your livestock also interact with each other in the pastures, it is important that you ensure their safety before they can start grazing freely. As the temperature starts to rise, maintaining good pasture management technique becomes necessary for raising your livestock. Pasture management is necessary since the nutrition levels on the pasture forges can vary, directly impacting the health of your cattle. Depending on the nutrition value of the forages and fodder your cows receive, the health of your cows and calves as well as their fetuses can vary greatly. Not ensuring good nutrition for your cows can negatively affect their health. Conducting a soil test can help you prepare it for the spring by checking the fertility and nutrition levels. Soil testing will show you its current pH levels so that you will be able to use proper fertilizers and make proper soil treatment arrangements. You might need to add additional lime, phosphorus, or potassium. These grasses will grow tall in the spring without fertilizers, as they will experience a natural flush of growth in the spring. So adding more nitrogen would be waste of your money because you would end up mowing most of your pasture. 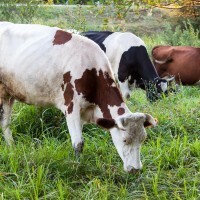 Your pasture will be more sustainable and add more variety to the livestock diet this way. Only seed your pastures during the fall season when there is less weed pressure. Your pasture will also get a longer rest period before your livestock starts grazing again in the spring. Make sure that winter storms haven’t weaken or damaged your fence. If you do have a high stocking rate, you could consider top-dressing nitrogen (top dress within the first two weeks of May). We will be posting you with tips on pasture management and livestock nutrition periodically every week. To get your free articles in the mail, please sign up and get free stuff in the mail. What’s it take to become a sublime expeondur of prose like yourself?